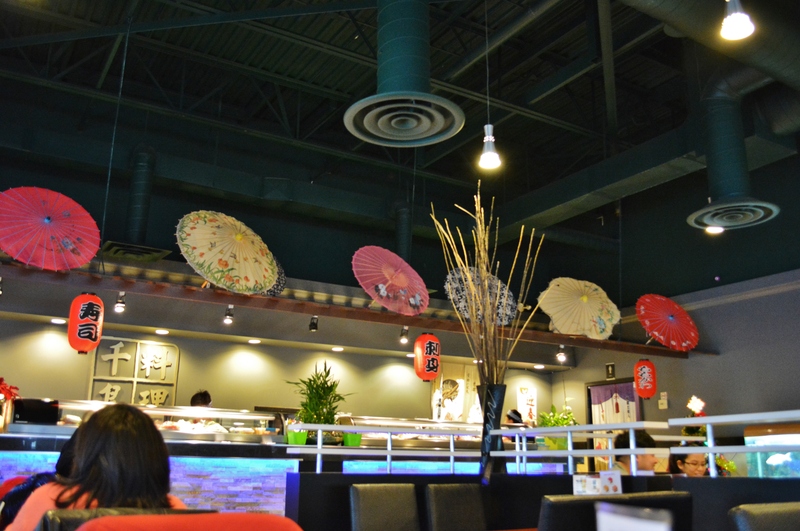 Hockey Sushi is an all-you-can-eat sushi restaurant located just south of Steeles Avenue on Main Street. As I walked in, I noticed the neat decor along the walls and by the sushi counter. We were helped to a table right away. Quick service is definitely a good start and, thankfully continued throughout our meal. The best part about Hockey Sushi is that it has a set price for lunch and dinner, regardless of the day of the week! Our server took our order for the all-you-can-eat meal and was helpful in clarifying any questions we had. Once our food arrived, the presentation was very neat. 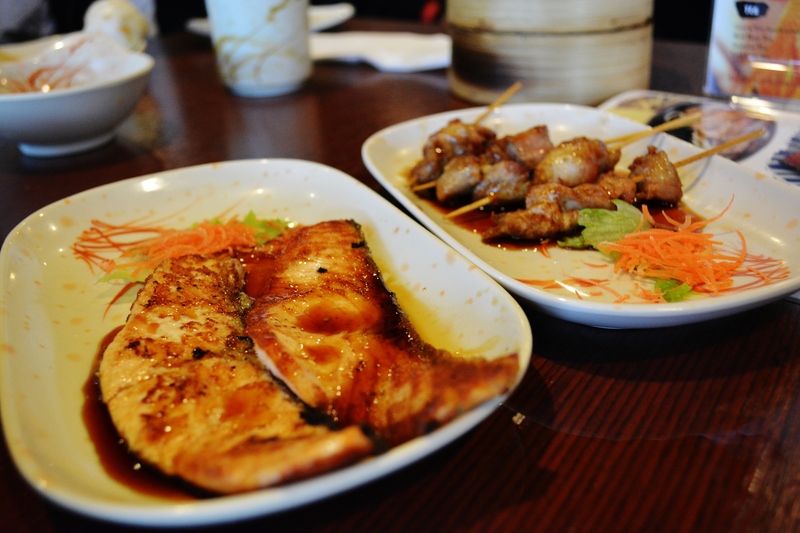 We had salmon teriyaki, edamame, and chicken skewers as appetizers. The salmon was cut fairly thin and wasn’t overcooked, however, it was a tad charred. The steamed edamame wasn’t covered in a lot of salt, which is always a good thing. The chicken skewers weren’t too chewy, however, weren’t as sweet as expected and had a subtle south asian spice. The tempura was crunchy and the rice on each roll was not sticky — all of the flavours satisfied our taste buds. The maki rolls were evenly distributed and not too big in size. We had the dynamite roll, the rainbow roll and a shiitake roll. Each bite ensured fresh fish topped on sushi pieces with just enough tempura bits and veggies. 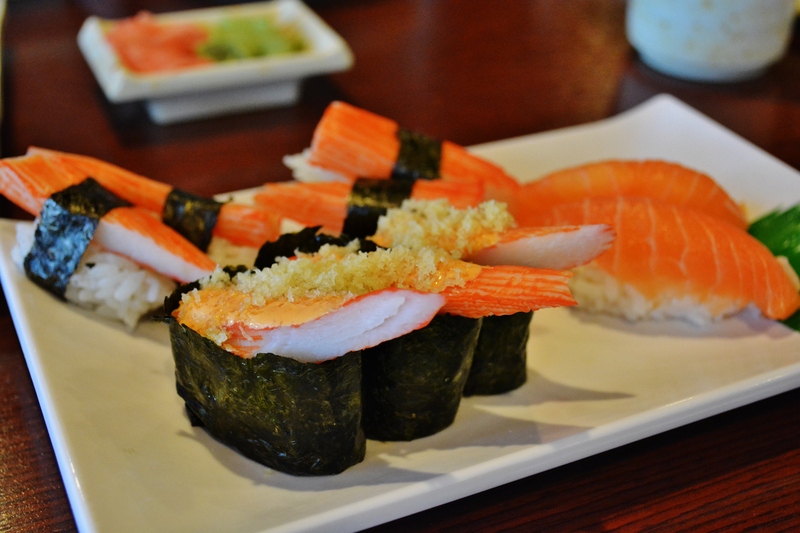 The tempura was crunchy and the rice on each roll was not sticky — all of the flavours satisfied our taste buds. 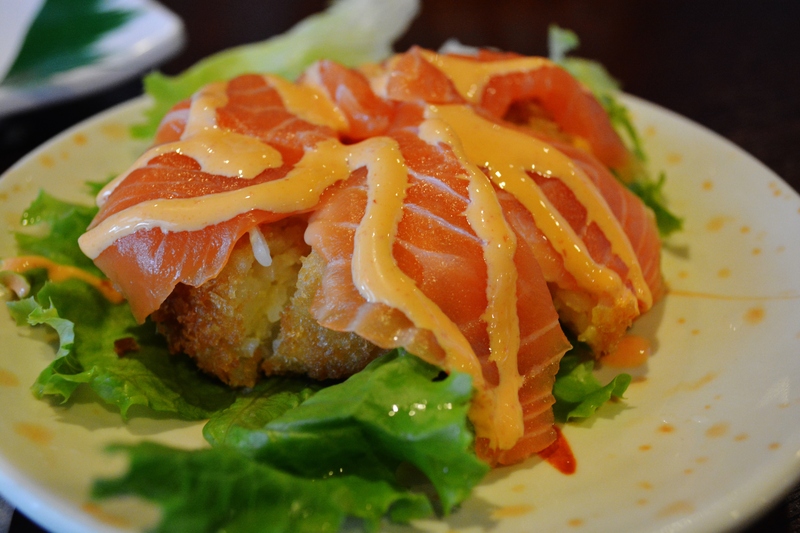 This was true for the salmon sushi pizza as well as the crab and salmon sushi. Everything was absolutely mouthwatering. Top to bottom: dynamite roll, shiitake roll and rainbow roll. Crab sushi, spicy crab sushi and salmon sushi. We ordered some dim sum which was steamed to perfection. The shrimp dim sum was moist and easy to bite into. The proportion of shrimp to rice flour ensured deliciousness and one did not overpower the other. The egg buns were scrumptious and the egg-based custard inside was creamy and sweet. 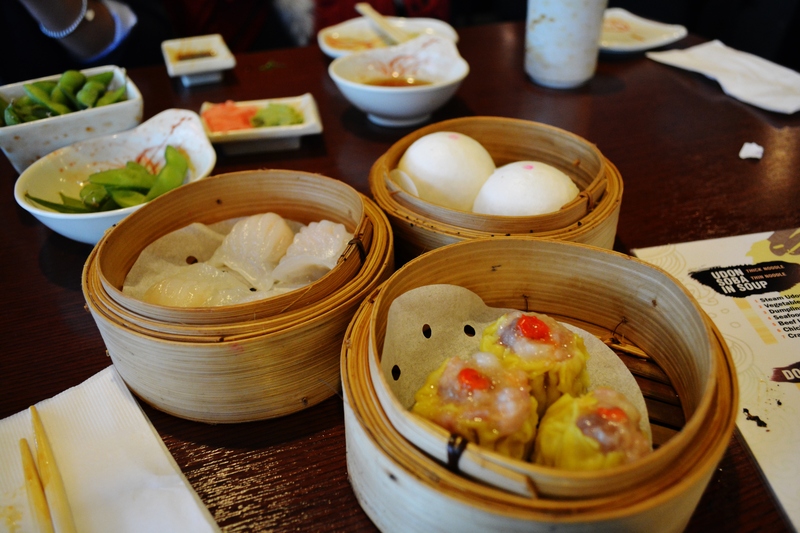 Edamame (top left), shrimp dim sum (middle left), egg custard buns (top right) and pork dim sum (bottom right). 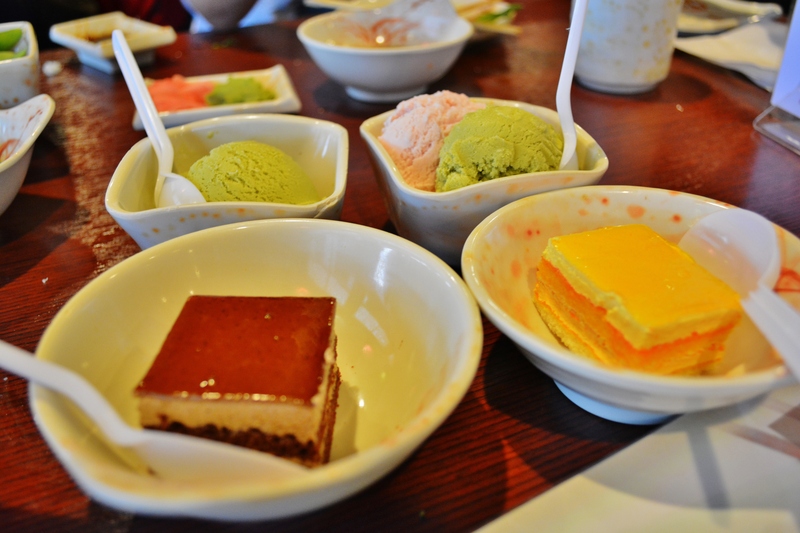 For dessert, the ice cream and mini-cakes we ordered were impeccable. The only thing I’d change to make this place even better is having a pre-set checklist-type menu for customers to make their food orders with, instead of having a server write down all of the items individually. The best part about Hockey Sushi is that it has a set price for lunch and dinner, regardless of the day of the week! 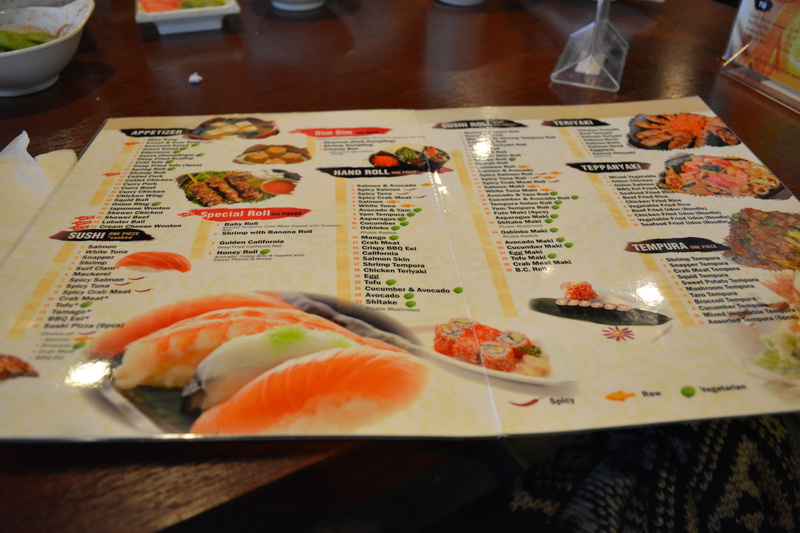 They also have an a-la-carte and take-out menu for those that prefer this option instead. 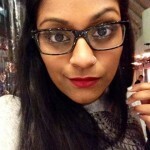 Nursing, photography, travel, tea-aholic - it's all about doing you to the fullest! It would be helpful if you included some prices in your future reviews. I would like to know the lunch/dinner prices you mention for example.